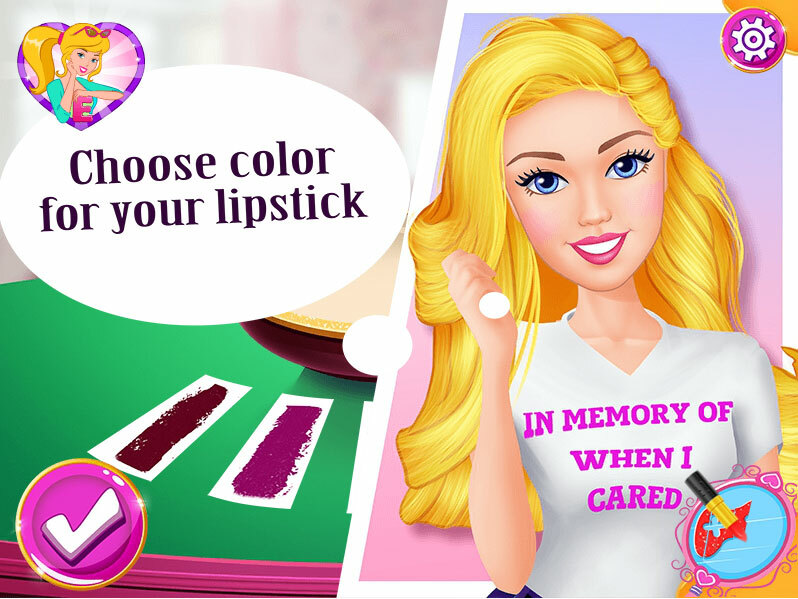 Girls, in this game you are again waiting for Barbie that wants to offer you to do amazing and wonderful experience. It is the creation of a magical lipstick! Barbie was always interested in the world of cosmetics and with pleasure observed the fact that the release of the company or designers. But now she decided herself to become a trendsetter and create something of their own. 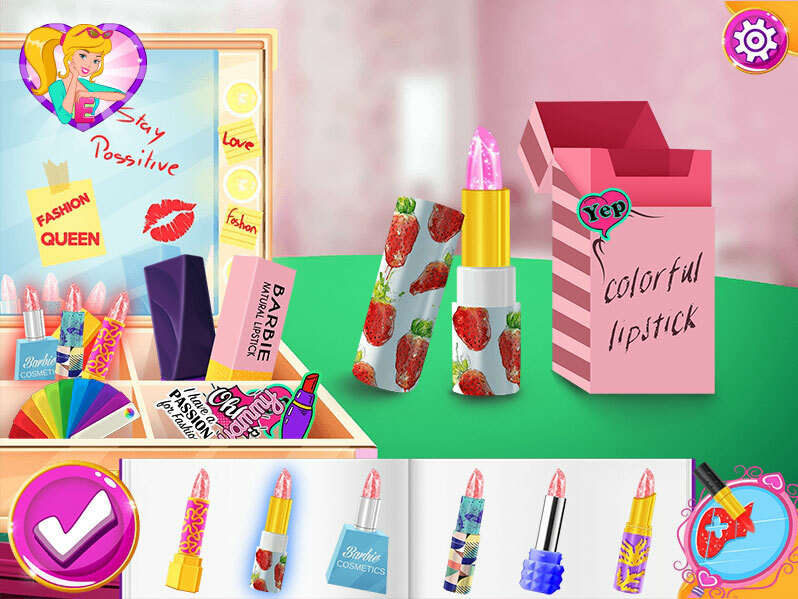 In this game, it makes the lipstick and it looks like this is it turns out very well! Want to participate in this and make the coolest lipstick that will appeal to many girls and fashionistas who follow the world of fashion, but also signed on the block fashion girls? Then start the game and use the mouse and your creative skill. I'm sure you'll have a very perfect accessory and our blond will even want to wear a lipstick in your purse! By the way, have you played our favorite pregnant Barbie game? Played: 18702. Added: 23-06-2017, 08:23. 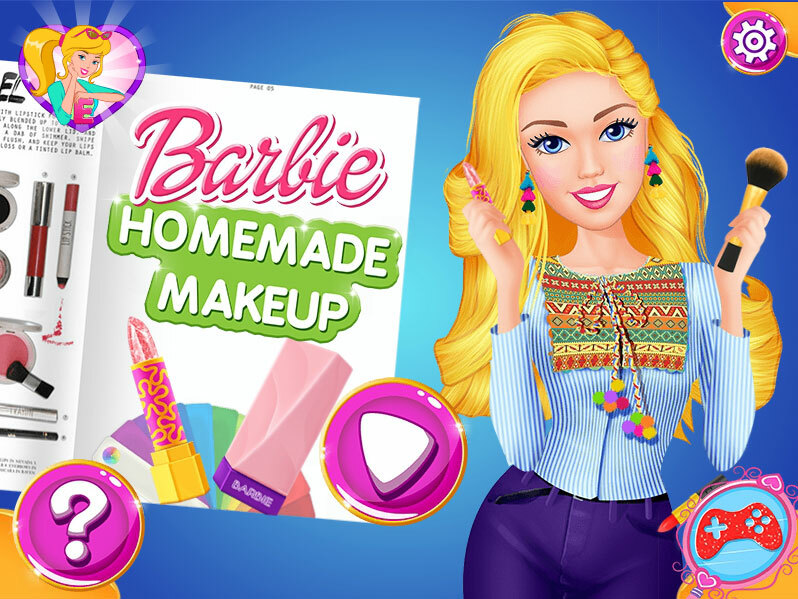 Barbie homemade make up game. Choose color for your lipstick. Barbie does a magic lipstick.